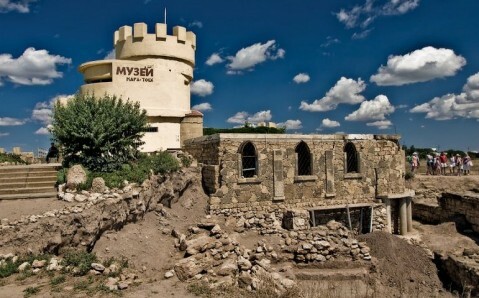 One of the brightest and the most mysterious Yevpatoria's sights is the Tekie Dervishes - the former abode of traveling Muslim monks (Dervishes) built in 15th-16th centuries. 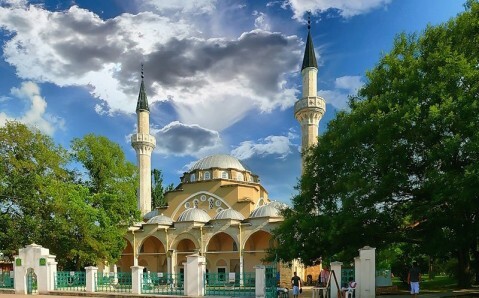 This unique historical and architectural ensemble is valuable, for it is the only Muslim monastery that has survived on Ukrainian territory in its original form. Dervishes were members of Sufi brotherhood that didn't accept luxury and richness and lead very ascetic lifestyle. There is still a bulk of legends about them. Traveling monks always lived according to their rules, trying to maintain independence from social conventions and judgments. Stories tell that these people could cure the sick, interpreted dreams, foresaw future, and, therefore, were treated with respect in Crimea. 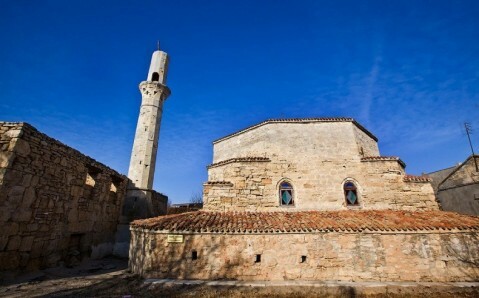 The medieval Abode of Dervishes in Yevpatoria is an original architectural complex, consisting of the monastery itself, adjoined mosque with minaret and madrasa (Muslim spiritual seminary). 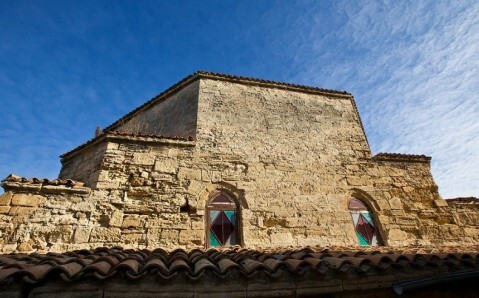 The main monastic building is the two-storey stone building with domed roof and 19 small cells, situated along its perimeter. 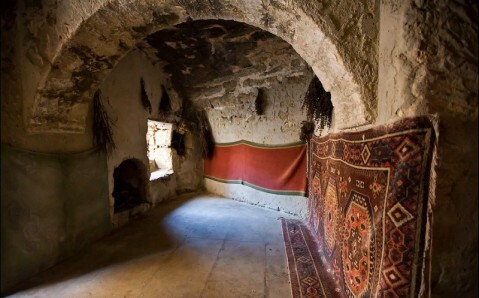 All of them were connected with the large arched hall, where Dervishes traditionally gathered on festive days for joint prayers. There is an ancient mosque with adjoined 27-meter high columnar minaret, built in the 17th century, near the monastery. In the 20s years of the 20th century, when Soviet power was established in Crimea and in the whole Ukraine, the mosque was closed, and the monastic complex's territory was occupied by Black Sea Navy's depots. At that time minaret was used as guard tower. Today the Tekie Dervishes doesn't operate, but is an interesting touristic sight. 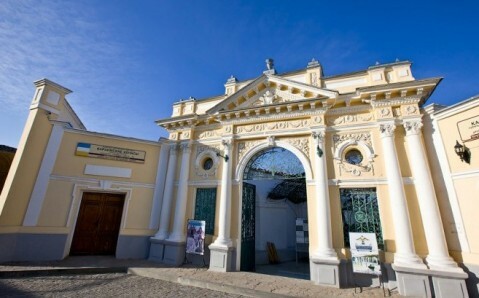 The cultural and ethnographical center and the museum of Crimean and Tatar culture are situated now in the former madrasa building. 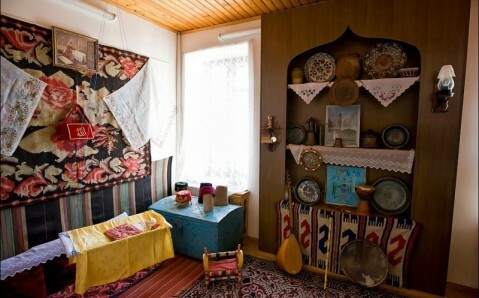 There is a unique collection of exhibits telling about Dervishes' life and lifestyle: clothes, cutlery, decorations, music instruments and more. One-hundred-year old handmade female headwear and golden belt are the pride of the museum's collection. 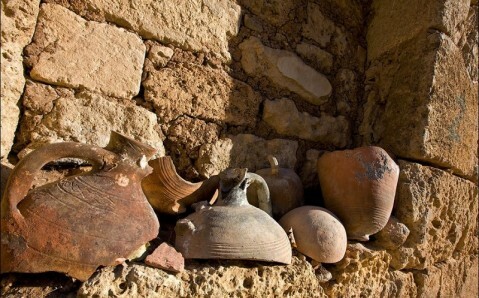 However, the main treasure of this wonderful place is probably its immensely powerful energetics. People from all over the world come to the Tekie Dervishes in order to feel it.